This is absolutely heartbreaking. Thanks to Lori Lynn for putting herself out there and speaking for so many of us. 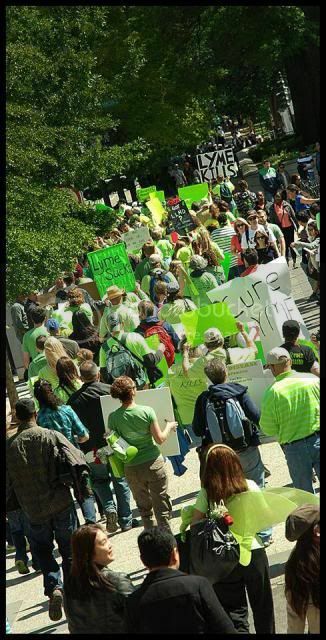 I know that there is Lyme Disease in Arkansas buy why would you think that the Arkansas Department of Health is denying that there is any lyme disease in Arkansas? The reason is simple. They’ve been denying it for years, even with positive tests, clear bulls eye rashes, and clinical diagnosis. They have taught the doctors to say “no Lyme here” for years. Research it. I think you’ll be appalled and shocked at what you find. I was infected in 1989 in Hot Spring County. I can’t count the doctors that told me the exact words “Lyme is not in Arkansas.” I even had 2 doctors with the Infectious Disease Department at UAMS tell me those exact words. I have been told by doctors who studied at UAMS that the only thing that was covered concerning Lyme was that it didn’t exist in Arkansas.